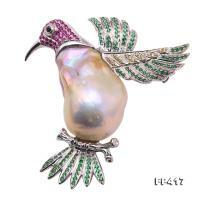 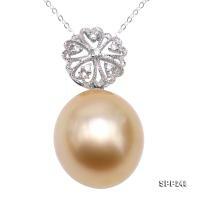 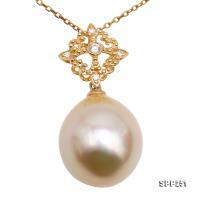 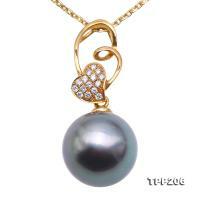 Mysterious 12mm black round Tahitian pearl set in exquisite diamond-inlaid 18k gold pendant. 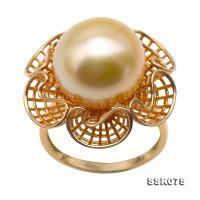 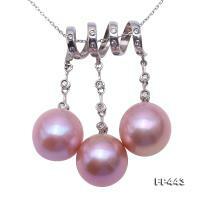 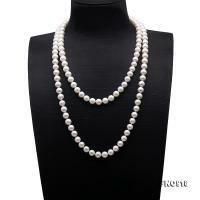 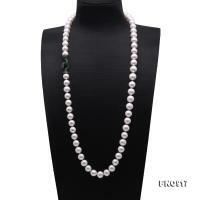 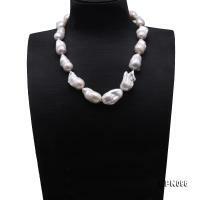 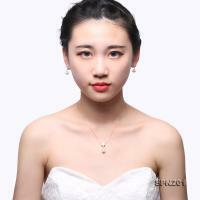 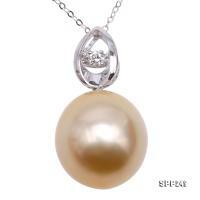 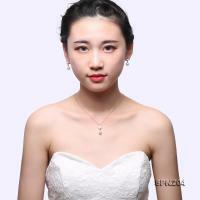 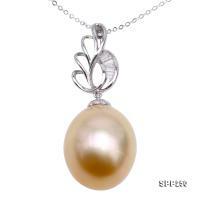 The pearl is perfectly round, smooth, and lustrous. 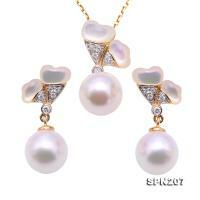 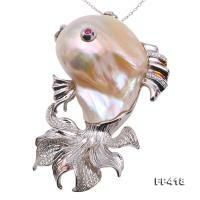 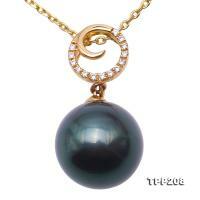 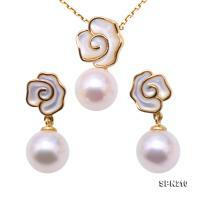 Mysterious 11.5mm black round Tahitian pearl set in exquisite zircon-inlaid 14k gold pendant. 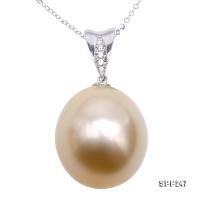 The pearl is perfectly round, smooth, and lustrous.